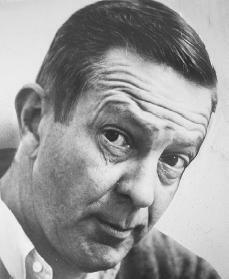 John Cheever was born on May 27, 1912, in Quincy, Massachusetts. His parents, Frederick Lincoln Cheever and Mary Liley Cheever, had two sons. His father owned a shoe factory until he lost it due to the Great Depression of the 1930s (a time of severe economic hardship). His mother owned a gift shop and supported the family with the shop's profits. Cheever attended Thayer Academy, a preparatory school in Braintree, Massachusetts. He was expelled from Thayer at age seventeen for smoking and poor grades. The result was Cheever's first published work, "Expelled." The short story appeared in The New Republic on October 1, 1930. The story is about ordinary lives and was written with precise observation and straightforward language. It is a style and approach that Cheever developed over five decades. After leaving school Cheever toured Europe with his older brother, Frederick. Upon their return, the brothers settled in Boston, Massachusetts. Frederick helped to support John as he wrote stories. In the mid-1930s Cheever moved to New York City. He lived in a bleak, $3-a-week boarding house on Hudson Street in Greenwich Village. During this period Cheever helped support himself by writing book summaries for potential MGM (Metro Goldwyn Mayer) movies. Malcolm Cowley, editor of The New Republic, also arranged for Cheever to spend time at Yaddo, a writers' colony in Saratoga, New York. It was also during this time that Cheever began his long association with The New Yorker magazine. In 1934 the magazine published the first of 119 Cheever stories. On March 22, 1941, Cheever married Mary Winternitz. They had three children. He spent four years in the army during World War II (1939–45) and later spent two years writing television scripts for, among other programs, "Life with Father." critics call "Cheever Country." The characters are good people who begin life with a sense of well-being and order. Later that order and well-being are stripped away and never quite fully restored. The title story, for example, portrays an average young couple that wants to someday move from their New York apartment to Westchester. Their sense of the ordinary is shattered when they buy a radio that has the fantastic ability to broadcast bits of their neighbors' lives. The radio picks up the sounds of telephones, bedtime stories, quarrels, and tales of dishonesty. This peek behind closed doors serves to destroy the couple's own outward feelings of harmony. The story ends with the young married couple arguing as the radio fills the room with news reports. In 1951 Cheever was made a Guggenheim Fellow, a fellowship grant established in 1925 for writers. This grant gave him the money and the freedom to write. In 1955 his short story, "The Five-Forty-Eight," was awarded the Benjamin Franklin magazine award, and the following year he took his wife and three children to Italy. Upon their return the family settled in Ossining, New York. He was elected to the National Institute of Arts and Letters in 1957 and won the National Book Award for the first of his novels, The Wapshot Chronicle. From 1958 through 1977 Cheever continued to write seven more books. Cheever, at the height of his success, began a twenty-year struggle with alcoholism. This was a problem he did not fully admit to until his family placed him in a rehabilitation center in 1975. Earlier, in 1972, he had suffered a massive heart attack. After a long period of recovery, he wrote Falconer. This "dark" novel draws on his experience as a writing instructor in Sing Sing prison, as well as on his recovery from alcoholism and drug addiction. Falconer contains rough language, violence, and a prison setting. This novel is a departure from Cheever Country. Moreover, it is the first of his works to deal directly with homosexuality. Cheever's journals reveal that, like the main character of Falconer, Cheever questioned his sexual preference and identity. In the end Cheever could not fit the image he carefully developed for himself— much like the fictional characters he created. John Cheever died of cancer on June 18, 1982. His final work, Oh What A Paradise It Seems, was published after his death. Cheever, John. The Journals of John Cheever. New York: Ballantine Books, 1993. Cheever, Susan. Home Before Dark. Boston: Houghton Mifflin, 1984. Coale, Samuel. John Cheever. New York: F. Ungar, 1977. Donaldson, Scott. John Cheever: A Biography. New York: Random House, 1988. Waldeland, Lynne. John Cheever. Boston: Twayne Publishers, 1979.